Learn the facts behind the blockbuster film The Way Back.  Was it all true?  What happened after their arrival in India?  Were there others involved in the story?  Who was Mr. Smith? Though she was not a trained researcher, Willis felt compelled to look at some of the most powerful aspects of the story and to try to dig to the core of the truth behind The Long Walk. Willis’s investigation took her down unforeseen byways with many hours spent unraveling facts, truths, half-truths, and rumors. She waded through archives, wrote and spoke to hundreds of people, and continued to seek out and verify the details of the greatest adventure narrative ever written. The path of Willis’s research will be a model for anyone attempting a similar search or has ever thought about the story behind a book. 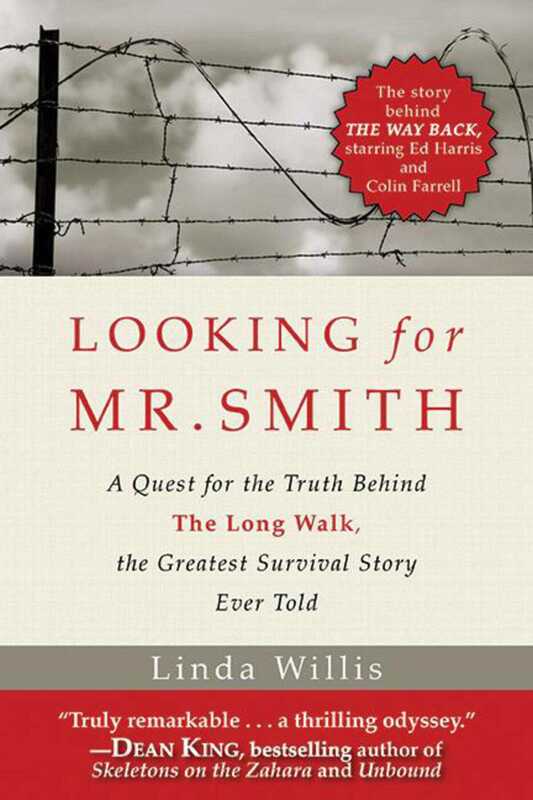 No one who reads Looking for Mr. Smith will ever think of The Long Walkor the major motion picture based on the book, The Way Back starring Ed Harris and Colin Farrellin the same way again. Skyhorse Publishing, as well as our Arcade imprint, are proud to publish a broad range of books for readers interested in history--books about World War II, the Third Reich, Hitler and his henchmen, the JFK assassination, conspiracies, the American Civil War, the American Revolution, gladiators, Vikings, ancient Rome, medieval times, the old West, and much more. While not every title we publish becomes a New York Times bestseller or a national bestseller, we are committed to books on subjects that are sometimes overlooked and to authors whose work might not otherwise find a home.